Come Alive with the uplifting taste of the original - enjoyed across the globe for over 100 years. ‘Coca‑Cola’ is regarded as the most refreshing drink ever - but don’t take our word for it. Grab a ‘Coke’ and join the other billion people treating their tastebuds today! With Coca-Cola No Sugar, they’ve hit upon our best tasting no sugar Coca-Cola we’ve ever made. Our very first Coke sweetened only by stevia which has been derived from a natural source. 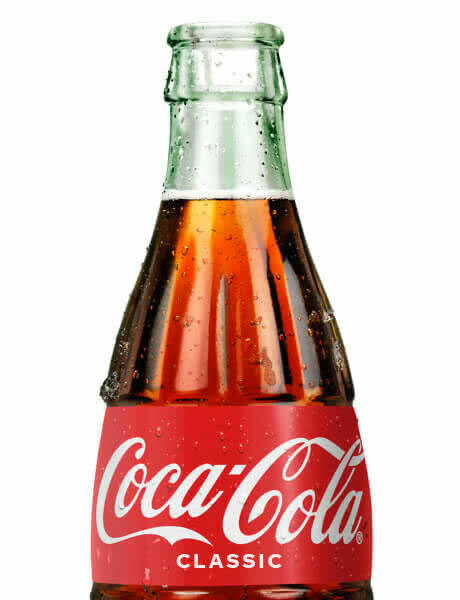 For those who want to enjoy Coke that is sugar free and 100% sweetened from a natural source. Diet Coke delivers a distinctive and lighter taste to Coca-Cola Classic. Diet Coke has been refreshing and delighting drinkers for decades. Carbonated purified water, cane sugar, colour (caramel 150d), food acid (338), flavour, caffeine. from imported and local ingredients. Carbonated Water, Colour (150d), Food Acids (338, 330, 296), Sweetener (960), Flavour, Caffeine. Carbonated purified water, colour (caramel 150d), flavour, food acids (338, 331), sweeteners (951, 950), preservative (211), caffeine.